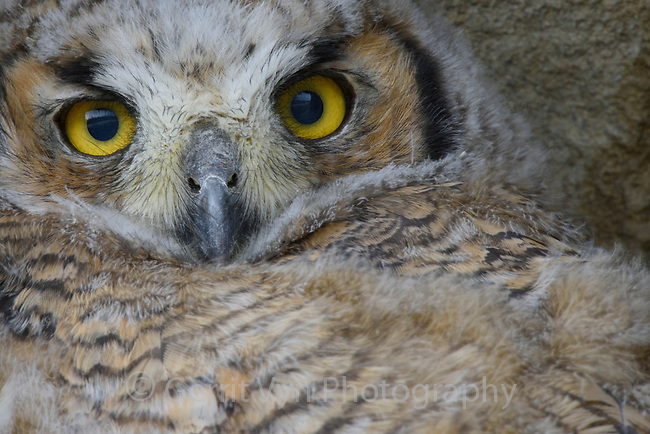 Recently fledged Great Horned Owl (Bubo virginianus) hiding in a cliff face. Sublette County, Wyoming. May.